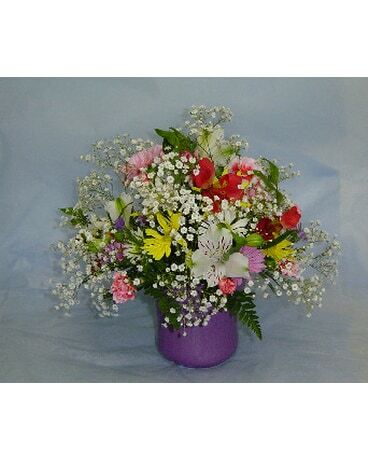 Brighten her Day Bouquet is a bright, airy and long lasting arrangement of Alstroemeria, Daisies, Carnations, Mini Carnations and Babies Breath. Always a favorite! Container will differ from the one pictured.